Elegance, distinction and exclusivity in the products selection of the Premium Collection by Porcelanosa take place at the Salone del Mobile de Milán. 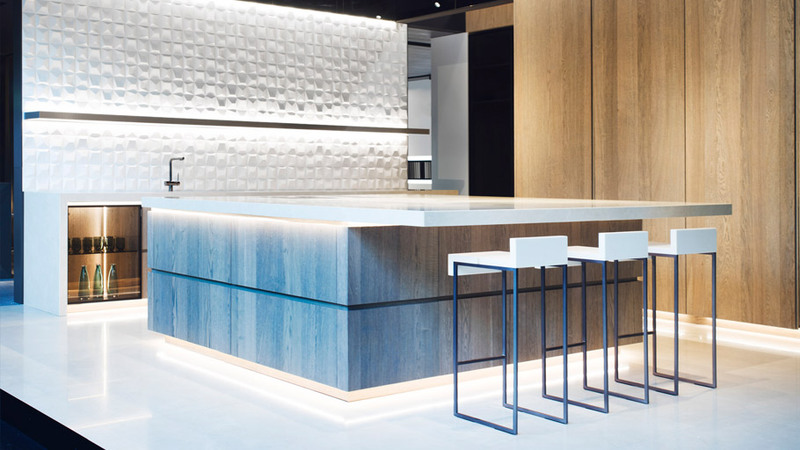 Both PORCELANOSA Grupo and the architect, Ramón Esteve, once again join forces and their creativity in order to present the two latest Premium kitchen models, done by the firm Gamadecor. 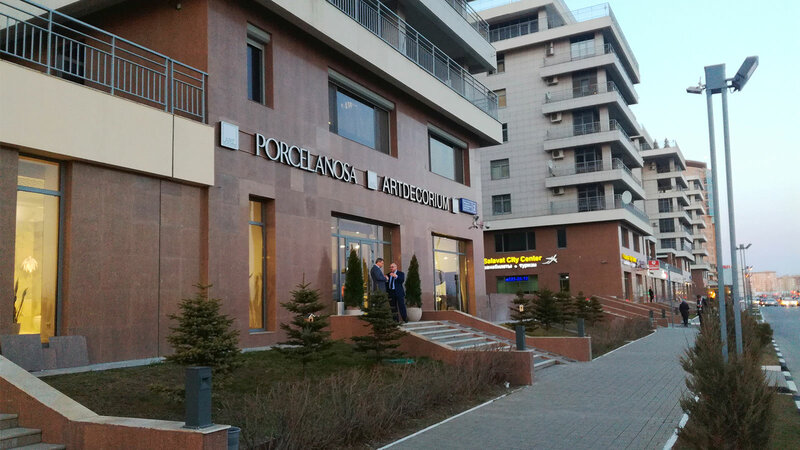 Both of them will have a privileged place at the stand of PORCELANOSA Grupo at EuroCucina 2016, which is the space reserved for the latest trends in kitchen equipment. Because of the quality and excellence that the Premium material selection is characterised by, the Pepper and Safron kitchens have been set up. 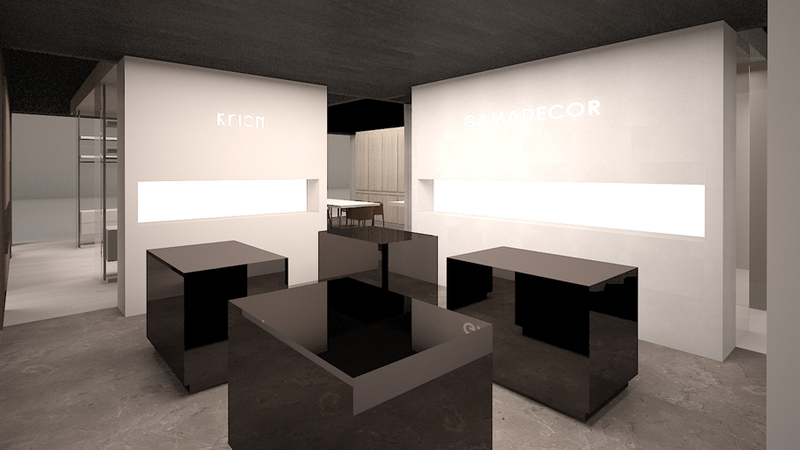 They are the two latest kitchens by Ramón Esteve for Gamadecor. Pepper consists of a kitchen with a large prismatic central island, whose design combines the light Authentic Chrome wood with the Crema Gracia natural stone marble by L’Antic Colonial. Even though its design is sober, its originality lies on the basis that one part of the island levitates, thus, allowing for the allocation of both a sophisticated and cosy dining-room. However, the other area of the island is the one integrating the vitroceramic hob, the extractor hood and the storage, standing out because of its high functionality and unique design. 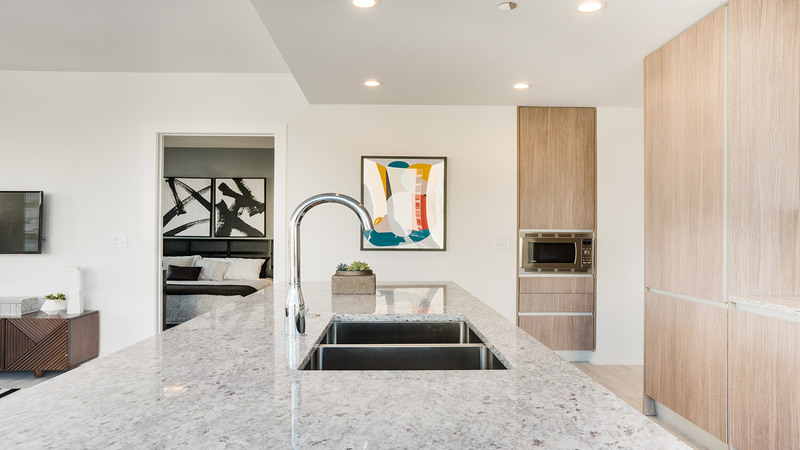 In addition to this, the Pepper kitchen has a low piece of furniture with a sink, whose space combines the stone worktop with the wooden furniture and smokey glass doors following the glass cabinet concept. This piece of furniture has an inside light, so that the tableware is not hidden, but at the same time, seen from the outside. With regard to the bottom, it has been covered with the ceramic Faces wall tile, also including a metal shelf in a titanium finish. 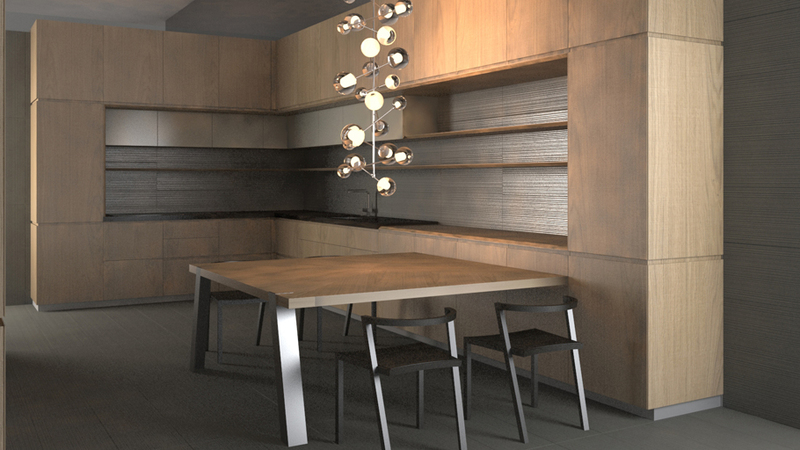 A kitchen model with both a wooden base and metal shades, full of a high warmth and brightness. The Saffron kitchen consists of a central island integrating the vitroceramic hob, the extractor hood and the sink into the very same space. 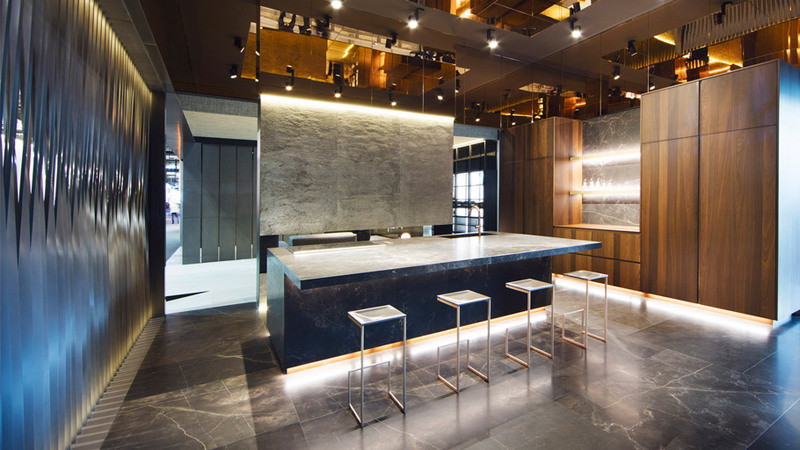 With regard to the materials, the kitchen combines the excellent Habana Dark stone with the Torrefacto oak wood. The stone is placed on the wood, thus, freeing up a space which can be used as a functional dining-room. On the other hand, and with regard to the cupboard, it consists of a model with retractable doors whose inside shows a very elegant bronze metal finish. It is divided into two high modules and a low central one, the latter working as a working bench, including a stone worktop and a shelf with light inside. 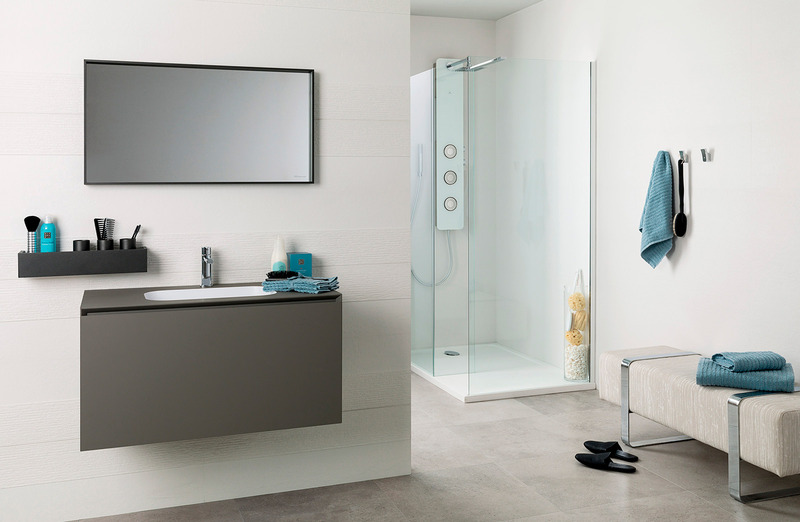 The taps are Urban Stick, with copper shades which harmonise and unify. The set is completed with a prismatic ventilation stack in Airslate metal finish, the natural stone sheet of L’Antic Colonial. All in all, a kitchen design which stands out because of the balance and harmony of its items and a very important aesthetic impact. 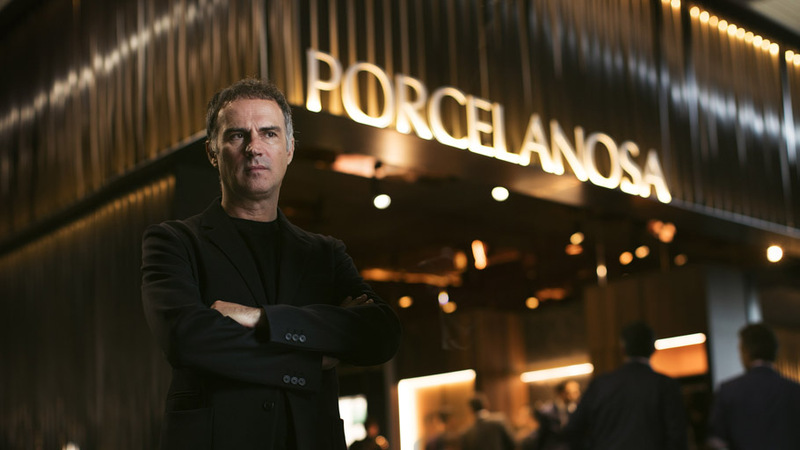 Discover the Premium kitchens of PORCELANOSA Grupo in pavilion 11 A25 A29 at EuroCucina.